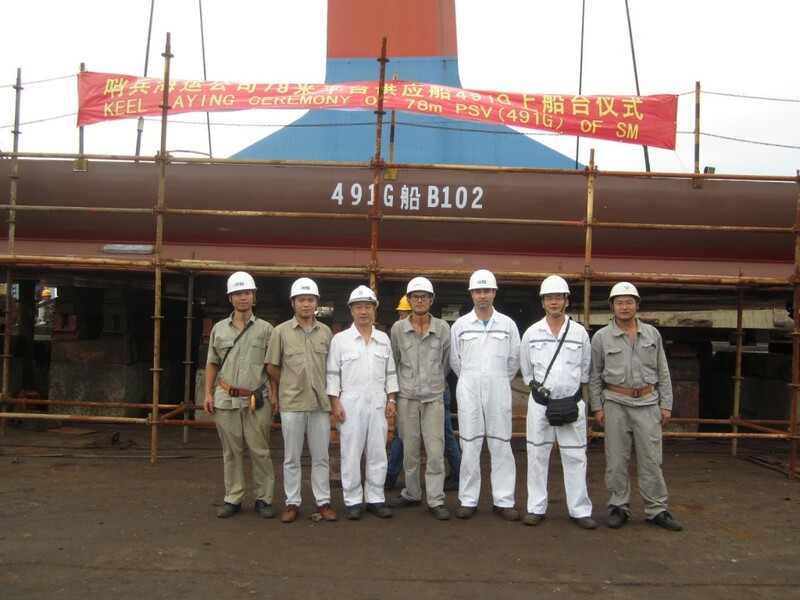 Below are some pictures of the keel laying of Hull 491G NOBLE SENTINEL, held today at Xiamen Shipyard. The NOBLE SENTINEL is a 78m PSV Focal 522 with a deadweight of approx 4,000T. 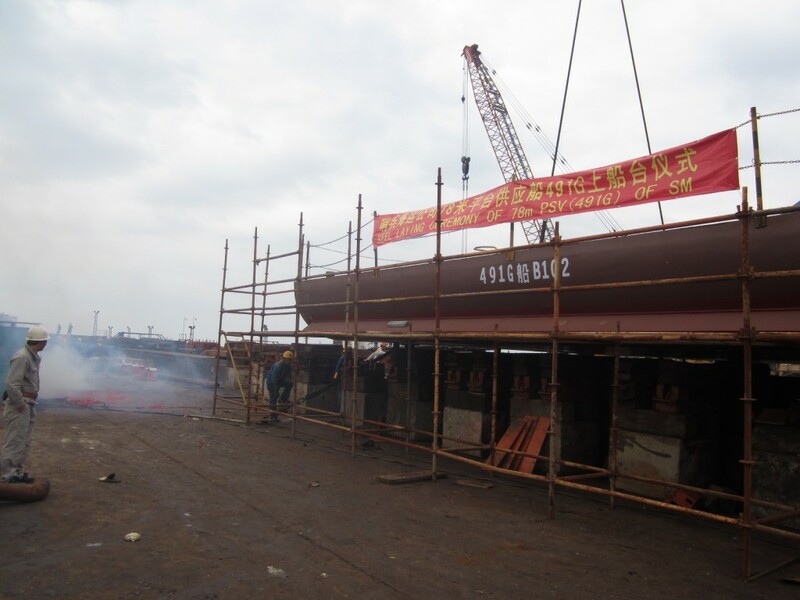 Her launching is projected to be in December this year. 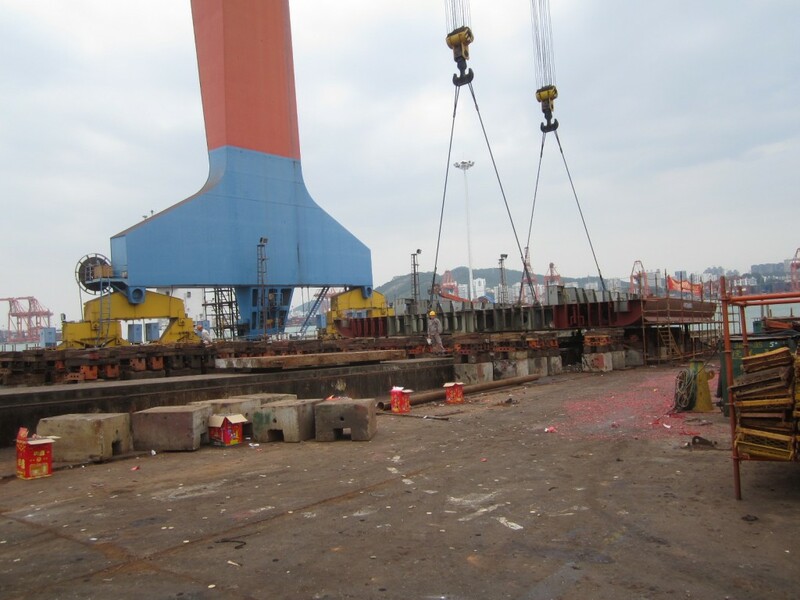 Sentinel Marine was represented by its site team in Xiamen, namely Marian Tanase and Shen Haisong.